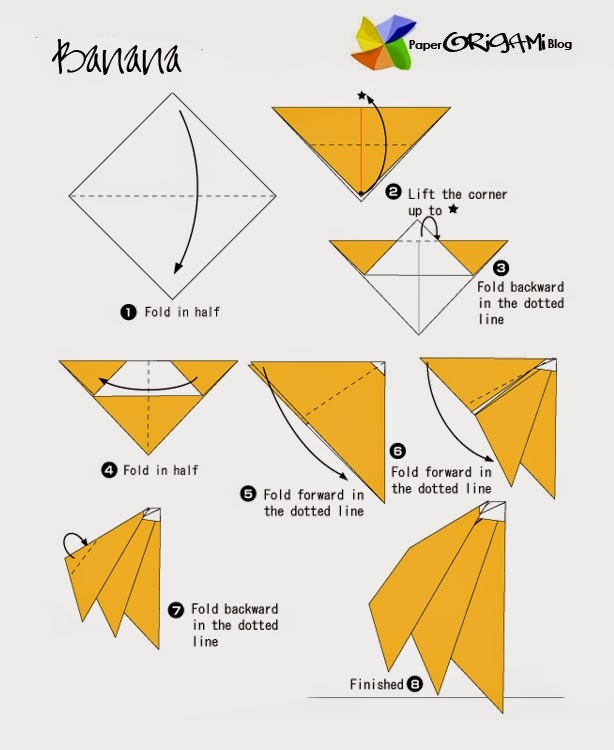 Banana Origami - Paper folding guide of banana origami. Banana is an edible fruit, in botany it classify as a berry. Banana is abundant in all tropical country. Though it is classify as fruits banana is used in different cuisine. Some family of banana can be use for cooking. Bananas differ in colors from green, red and the most famous yellow. In, paper crafts is not exempted here is the easy way of making banana paper crafts.